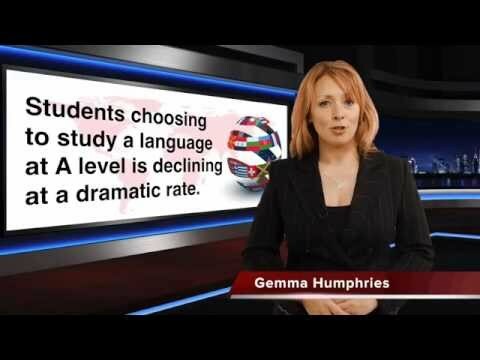 Home > Media Hub > International Business Relations > What are the best languages for international businesses? English has long been the lingua franca of the world and the dominant business language as a result. However, the emergence of various different nations as global economic heavyweights and growing internationalisation in general has changed this. 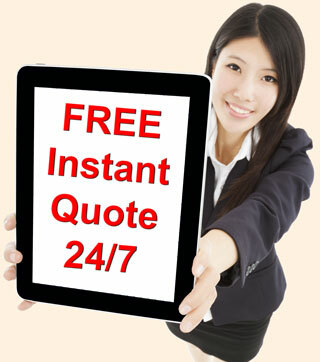 A number of other languages have come to the fore in the business world and beyond in recent times. With more and more companies realising they need translation and interpreting services to market their products and services abroad, the demand for translators and interpreters has skyrocketed. Considering the multitude of business benefits that come from being able to converse in other dialects, it is important to know which languages will get you ahead in the corporate world. Here, we’ve highlighted the best languages for international businesses. Mandarin is the most widely spoken language in the world, with some estimates putting the number of native speakers at 1.2 billion. It is also the second most spoken language on the Internet. With China expected to be the world’s largest digital market by the end of 2018, Mandarin may supplant English at the top of this list in the near future. Considering China’s huge digital influence, its emergence as a major global power and astounding economic growth, the importance of Mandarin in the business world cannot be overstated. Chinese businesses are continuing to spread globally, and 109 out of 2017’s Global 500 list—of the planet’s 500 largest companies—were from China. According to the British Council, Mandarin is the fifth most needed language for economic purposes because China is a major trading partner for a large number of countries. It is the UK’s second largest source of imports, the US’s largest trading partner, and Japan’s second largest. Expect an increasing number of companies to work with China as its stature continues to grow, resulting in the need for businesses to learn Mandarin becoming even more pressing. There are currently over 477 million native speakers of Spanish worldwide, making it the second most popular mother tongue in the world. It has 572 million global speakers overall, and this number is forecasted to rise to 754 million people by 2050, according to the Instituto Cervantes 2016 Annual Report. This is spearheaded by the growing population of Spanish-speaking countries and rapidly rising number of Spanish speakers in the US. It is the third most used language on the Internet and more than 21 million people study Spanish worldwide, making it one of the most studied languages in the world. With such a huge global presence, Spanish is becoming increasingly key in the business world, especially as it is the language of high growth countries like Argentina, Chile and Mexico. Mexico is the US’s third largest trading partner and Spain is the UK’s eighth largest goods export market. With the prosperity of various Spanish speaking nations, don’t be surprised if the language continues to grow in importance in the business world. 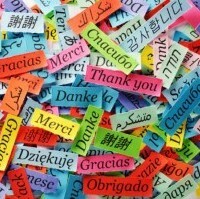 Another language that is becoming increasingly important for businesses is Portuguese. Much of this can be put down to its widespread use, with the language having around 260 million speakers in total and being natively spoken in Portugal, Brazil, and parts of Africa. Portuguese is currently the fifth most spoken language on the Internet, and was ranked by the British Council as the sixth most important language for the future. A major reason for Portuguese being such a prominent business language is down to Brazil’s substantial economic growth in recent times, with the country consistently ranking in the top 10 largest economies in the world. Brazil offers significant opportunities in the manufacturing and agricultural sectors, especially the latter. According to a report by the Organization for Economic Co-operation and Development (OECD) and the UN Food and Agriculture Organization (FAO), Brazil will own the largest food surplus in the world by 2025. For these reasons, it could really pay to learn Portuguese to get ahead in the business world. Spoken by 420 million people worldwide, Arabic is the sixth most-spoken language in the world and is the official language of 28 different countries. A number of countries in the Arab world are seen as emerging markets, with nations like Saudi Arabia, UAE, and Egypt showing significant growth. The Arab region is renowned for petroleum production, with Saudi Arabia, Iran, and UAE all ranking in the top 10 countries in the world for oil production. However, with Arabic speaking countries increasingly diversifying away from oil and gas, the opportunities to use Arabic in the business world are growing. For example, Jordan’s banking sector is one of the strongest in the region. Arab Bank, based in Jordan’s capital Amman, is one of the largest financial institutions in the Middle East and has increasing global clout. With the increasing use of different languages in the global business scene, it is imperative for businesses trading internationally to go beyond merely using English. Many companies have already taken this step. Solicitors Moore Blatch have long endeavoured to employ bilingual staff, for example, and PR agency ING Media pay for their employees to take language lessons. If your business wants to work in different languages, using translation and interpretation services are valuable ways of doing so, as they will allow you to easily and quickly do business with foreign clients in their native tongues. 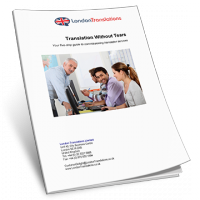 Here at London Translations we offer a multitude of translation and interpretation services with a broad range of industry expert translators that could be hugely benefit to your business. For more information, please get in contact.